Fat loss is one of the most important things to the way that we look and feel. We have a lot of body image problems, a full-blown obesity epidemic, and a society where most deaths are the result of lifestyle choices. From diet to exercise to confidence, fat loss is on the minds of most Americans. The demand for this change – and the fact that it’s hard to achieve – is one reason why many people fail to diet and resort to heavy stimulants. These are a concern at the medical level, however: many stimulant-based fat burners and ‘diet pills’ put your heart at risk and can impact your behavior. Whether you’re low-tolerance for stimulants or you’re dealing with a heart problem, this article is going to take you through the best of both worlds: healthy, fat-burning ingredients that are not stimulants. Fat-Burning: How Does it Work? There are a few ways that fat-burners or diet supplements can work. This is helping the process of freeing up body fat for use as fuel. If you are able to transport this fat into the bloodstream, you’ll be able to use it for energy for life and exercise. Increasing the amount of energy that you use, without increasing the amount that you eat, is an easy way to burn more fat. This is what we look at with most stimulants, but there are other ways of getting these benefits without the risk. If you eat less and use the same number of calories, you’ll burn more fat. Appetite-suppressing supplements can control hunger and make it easier to control those cravings and keep your intake low. There are a lot of processes between eating food, storing fat, and then using it for fuel in the future. Becoming more efficient at these processes depends on your diet, and it can make a big difference to your energy levels, exercise performance, and other indirect benefits to fat loss. Between these 4 key ways of burning more fat, there are a variety of different dietary supplements you can use to boost your wellbeing and results. We’re going to discuss the best ones for your overall health, performance, and fat-burning potential. Stimulants are compounds that increase the speed of essential functions in the body such as heart rate. These have benefits from increased metabolism to improved awareness, but many of them carry an increased risk for those with a heart problem or poor tolerance. Caffeine is an example of a stimulant that is healthy, but can have negative effects in those who are unfamiliar with it or have too much sensitivity. While caffeine may build tolerance over time, these side-effects are a legitimate reason to avoid it. On the other hand, time off can improve the effects for those who have developed too much tolerance. 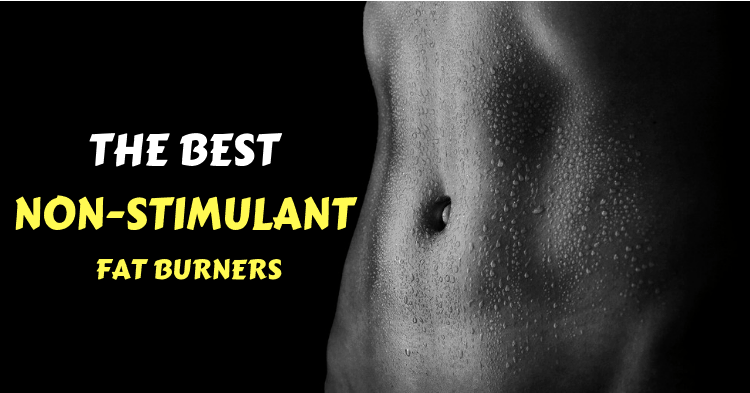 Stimulant free fat burners are important to have if you’re in any of these groups. Relying on stimulants for fat loss is a problem – a diet supplement should focus on balance and improving your health, rather than putting you at risk or causing serious side-effects. There are other possible side-effects, but these are the most common and the ones that most-often spur us to move away from stimulant-heavy supplements. 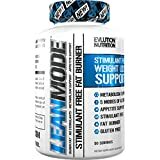 We’re going to review some of the most popular fat-burners on the market that aim to cut out these risks while providing benefits to fat-loss! 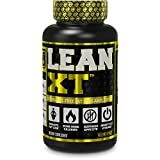 Part of the Jacked Factory line that has seen big market success over the past few years, Lean XT is a non-stimulant fat-burning support supplement. This focuses on using gentle support for the metabolism including green tea extract. EGCG in green tea is a great health and wellness ingredient that also happens to improve the oxidation of fat for use as energy. This catechin goes through a variety of interactions with amino acids in the body and is used to signal the release of fat cells in the body. You won’t see huge benefits, but they can add up over the course of a few weeks/months. The second active ingredient is ALCAR (Acetyl-L-Carnitine) which is a great supplement but doesn’t actually induce fat-loss. There’s a lot of theoretical suggestion that it should but, in reality, the studies don’t back this up. There’s a possibility they will in future, but carnitine is for performance – not fat-loss. The final ingredient is piperine which is simply black pepper extract. A great additional compound, it improves the performance of the other ingredients by increasing the absorption rate of your digestive system. 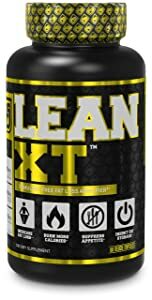 This makes sure that the active ingredients in Lean XT find their way into your bloodstream. Overall, we’re not sold on Lean XT as an effective fat-loss supplement. It’s a good diet-support supplement, but it doesn’t push fat-loss directly. At best, it has a mild effect that is down to the fat oxidation of EGCG and the indirect benefits that come with improved exercise performance from ALCAR. RSP QuadraLean runs into some of the same problems that we see with Lean XT: it’s primarily relying on EGCG for fat-loss while the rest of the benefits are associated with keeping performance high on a calorie-restricted diet. We’re not negative about this – it’s a great set of benefits to provide – but it doesn’t improve fat-loss in any appreciable way. The actual formula for QuadraLean is similar to Lean XT: green tea extract and ALCAR take center-stage. It also contains CLA, which is an incredibly overrated compound – it has a lot of hype but the science doesn’t actually suggest any benefits to fat loss. The only other compound in this product is a B6 analogue called pyridoxine – a useful compound for health but (again), not fat loss! Overall, we’re as impressed with QuadraLean as Lean XT and are struggling to see any reason to choose between the two. The doses are different in a relatively-insignificant way, and the vitamins in RSP’s diet supplement may have better results for health because of this B6 supplement. This is a change of pace from the last 2 supplements we looked at. It has a few different ingredients – but this isn’t necessarily a good thing because most of them aren’t very effective. The problem? The addition of garcinia and green coffee bean extract doesn’t matter because they’re probably not effective for fat-loss. Garcinia is a marketing trick and has no reliable scientific evidence in humans, while green coffee bean has an equally sketchy evidence basis, as well as a tendency for headache side-effects and UTI potential. These are stacked on top of the existing problems with CLA, ALCAR, and EGCG that we discussed above. There’s no real addition of value to either the pill or powder – if anything, the addition of these extra compounds makes it less effective because the dosing of the useful stuff (ALCAR and EGCG) is lower to accommodate the filler products. As with the previous two products, we can expect some mild benefits to health and performance from the ALCAR and green tea extract, but there’s not going to be a much noticeable benefit – especially compared to others on this list. QuadraLean is still slightly ahead! This is the last supplement we’re going to look at today, and it’s definitely establishing itself as wasted potential, but still a competitor with those we’ve discussed already. We’ll take you through the pros and cons, and how it stacks up as a result. 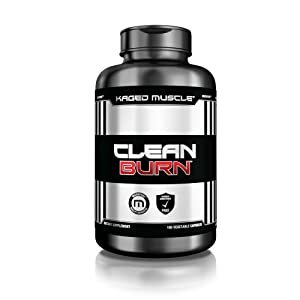 To start with, the pros: Clean burn has a pair of ingredients that set it apart from those on the list so far as a potentially-effective supplement for burning fat! Capsaicin is an extract from capsicum peppers that increases metabolism by roughly 50 calories per day. This isn’t a huge amount, but when combined with similar levels of EGCG to other supplements, you’re looking at about twice as much long-term effect as those without the ingredient. This is a clear edge when you look at a whole diet’s worth of results. The second ingredient is what we call conditionally useful: it has benefits in very specific circumstances. Chromium is an essential mineral and deficiency can lead to diabetes risk and increased resting levels of body fat. You might think it’s good, then, that Clean burn contains chromium. The only problem is that it is only useful in those who are pre-diabetic and deficient in chromium. 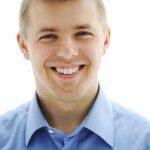 This isn’t particularly common, so you need to look at your individual needs very closely. The downside to this supplement is that it uses L-Carnitine instead of ALCAR. This is a problem because the acetyl-version of this compound is far more effective for everything from absorption to exercise performance. This means that the L-Carnitine in Clean Burn simply won’t be as beneficial as in other supplements on this list. The overall impression we get from this is that it missed the mark on some of the key aspects that others nailed: the focus on performance-maintenance while cutting. On the other hand, it is a superior fat-burner in the narrower sense of burning more calories and providing support to chromium-deficient, diabetes-risk individuals. 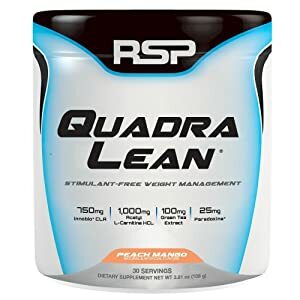 As ever, this is all about using the right supplement for your needs, so if you’re looking for a greater weight-loss effect you’ll want to go for Clean Burn, while QuadraLean is probably going to be better for a general diet-support compound. So, what if you’ve been through these supplements and you’re not satisfied? After all, these are just some of the most popular – they’re not enough to give you an idea about the whole supplement market. What should you look for, and what should you avoid, when you’re shopping for a non-stimulant fat burner? Creatine is another long-term beneficial compound that is associated with increased fat oxidation, performance, and muscle-sparing/growth. It has some short-term water-retention concerns, but it’s an interesting prospect. And anything else that seems too good to be true! Always spend a bit of time looking at the science behind a supplement that claims to do all the work for you – it’s either going to be harmful, illegal, or a lie. There’s nothing that effective on the market that you don’t need to diet and exercise to burn fat and improve your physique/health. Diet pills are only ever a gentle support/assistance to your journey. Don’t rely on them to do the hard work or lifestyle changes for you. RSP Quadralean Thermogenic Review - A Good Fat Burner?